Today’s main news: How Funding Circle wants to fix the financial system. VPC Specialty Lending, Ranger Direct see dividends move up. Klarna triples net profit, mainly in Nordic countries. Today’s main analysis: International P2P lending volumes. Today’s thought-provoking articles: Can Seed solve banks’ digital onboarding issues? How banking institutions can decentralize (The best read of the day). Institutional investors wary of passivity. Lendio opens franchise in South Carolina. Eloan managing director disrupts financial services in Puerto Rico. Magilla wants to be Match.com of lending. California woman succeeds with Kiva loan. Validus Specialty launches underwriting package for U.S. alt lenders. Institutional investors wary of passivity. LightStream home improvement survey reveals how home owners intend to spend their money to make improvements. Ways to use crowdfunding to own a home. FinLab launches contest for startups. Kwittken picks up Lauren Road as new client. How Funding Circle wants to fix the financial system. VPC Specialty Lending, Ranger Direct see dividends tick up. Leeds City Council to lend money to businesses. IFISAs hit a few stumbling blocks. Klarna sees double-digit sales growth. Anatomy of a successful crowdlending strategy. Smartag International partners with Indonesian fintech firm. Since 2014 the neobank Seed has been reimagining one of the sleepier areas of banking: deposit accounts for small businesses. Rather than walk into a branch — Seed, of course, has none — yoga instructors, food truck owners and other would-be customers can apply for accounts in less than five minutes on the startup’s web or mobile app. If approved, they receive a business debit card in the mail. Now Seed, led by veterans of the fintech Simple, is selling banks software to help them solve one of their most pressing problems: finding a way to open accounts online as branch transactions continue to decline. Lendio, the marketplace for small business loans, today announced the opening of a new Lendio franchise in the Clemson, South Carolina Region. Through the Lendio franchise program, Andy Ronemus will help local businesses in the community apply for loans, review their options and secure funding, easing the financial hurdles for small business owners. One notable leader in this endeavor is Mariel Arraiza, Managing Director of the company Eloan, a financial-services startup, and Banco Popular’s fintech arm. They offer secure installment loans to customers in their US market through their digital platform. Their online platform provides a seamless and clear user experience for its users to acquire micro-loans up to $35,000. As a result of this ease of use, they cater to younger markets, including millennials, entrepreneurs, and female heads of households. Since its launch in January 2016, Sacramento-based startup Magilla Loans says it’s originated more than $5 billion in loans and is changing the way lenders connect with borrowers. The platform can shrink into a few days what can often be a weeks- or months-long process of loan applications, data submissions and waiting just to get a loan term sheet. One Shorewood businesswoman did this all on a website called Kiva. Shelia Long’s business is a workspace that helps ladies who work from home come together to get inspired. “It was so great as the loans were coming in you can see like Switzerland, Boston, Carlsbad, Texas,” said Shelia Long. Validus Specialty Underwriting Services, Inc. (Validus Specialty) announced on Thursday a comprehensive package policy specifically designed for private U.S. fintech companies. According to the company, the solution is designed to address Fintech’s complex risk management needs, which are traditionally underserved by incompatible and inadequate policy forms. Geopolitical events are the most worrisome prospect on the minds of the decision makers at institutions looking ahead to 2018. The percentage of respondents who believe such events will have a negative impact this year is at 74%. The second most worrisome? Asset bubbles (65%). More than three fifths (63%) of those surveyed said that the growth of passive investing has increased systemic valuation risk: 59% believe that flows into passive strategies artificially suppress volatility. In 2015, Natixis found that 64% of institutions said they were upping their investments with active managers. In 2016, that number rose to 67%. In the latest survey it rose again, to 68%. But Square Pie had sold bonds on the Crowdcube platform, offering lenders 8% a year. It illustrates why so many people are suspicious of mini-bonds (debt issued by small, retail-orientated firms). Anyone thinking of lending to just the one relatively new business has to be aware of the risks – and then ask: is 8% enough? The latest offering in this category comes from a platform called Goji, which aggregates a variety of direct-lending and peer-to-peer (P2P) platforms. It has just brought out a Renewables Lending Bond, which pays out anything from 5.5% for a three-year term (with regular income) to 7.6% over five years, where the interest is rolled up at repayment. The underlying assets are provided by a direct lender called Prestige Group, which lends to clean-energy projects. The book of loans – around 39 – has an average duration of four years, with a typical loan-to-value ratio of between 70% and 80%. More than half (58 percent) of homeowners are planning to spend money on home improvement projects in 2018, according to the fifth annual LightStream Home Improvement Survey. LightStream is the national online lending division of SunTrust Banks, Inc. (NYSE: STI). Budgets for renovations are on the rise: among homeowners planning renovations, 45 percent will spend $5,000 or more — an all-time survey high. Those planning to spend $35,000 or more doubled from 2017. The majority of homeowners plan to invest sweat equity, as 65 percent say they’ll do at least some of the work themselves. The 18-34 group is particularly fond of do-it-yourself projects, with 70 percent planning to work on at least a portion of their renovation. With recent passage of tax reform, homeowners have already begun calculating how the changes might affect what they spend on home improvements. One in four homeowners who have set a budget for renovation projects stated that tax reform has had an impact, with 18 percent increasing their budget and seven percent decreasing it. At the same time, the percentage of people intending to use a home improvement loan has grown 29 percent from 2017 with 54 percent more 18- to 34-year-olds planning to fund projects through home improvement financing. According to recent research from the National Association of Realtors®, 24% of buyers under age 36 saved for their down payment for more than two years. NAR research also found that 25% of homebuyers ages 36 and younger used a gift from relatives or friends for some or all of their down payment. Platforms have popped up that simplify this process: HomeFundMe, which launched last year, and Feather the Nest. An estimated 1,500 “nesters” have used Feather the Nest to crowdfund a down payment since 2014, according to company president Beth Butler, with an average goal of $10,000 to $15,000. To help identify FinTech products that may improve the financial health of underserved populations in the U.S., the Financial Solutions Lab (FinLab) launched its fourth annual $3 million challenge. The lab focuses on products that meet the financial needs of overlooked populations, JPMorgan Chase said in an announcement. Kwittken signs up Laurel Road, online lender of student loans, personal loans and mortgages. Aaron Kwittken’s firm will be responsible for raising awareness of the company’s products through content marketing, brand activations, thought leadership and traditional media relations. Laurel Road, which is part of Darien Rowayton Bank, recently surpassed $3 billion in student loan originations. The £219m Ranger Direct Lending and £337m VPC Specialty Lending investment trusts have announced their latest quarterly dividends with both portfolios showing an uptick since their last pay-outs. Leeds City Council is to use a peer-to-peer lending platform to lend money to local businesses. The authority has decided to use the rebuildingsociety.com platform — based in the city — to provide money for small and medium sized businesses with an LS postcode. Innovative finance Isas (IF Isas) offer the promise of a good return, sheltered from tax, to investors willing to take on the higher risks of the peer to peer (P2P) finance market. The market has taken longer than expected to ignite, however, as providers struggle to match growing demand with limited supply. Many new investors will find the door shut, at least for now. 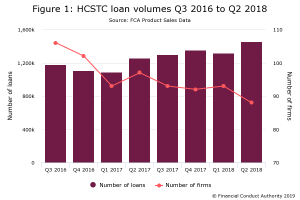 Growing consumer indebtedness in the UK combined with the prospect of rising interest rates could push up default rates on loans, sharpening the dangers for those invested in the highest-risk P2P products. For the tax year 2017-18, the maximum amount you can pay into one – or a combination – of Isas held in your name, is £20,000. Once the new tax year for 2018-19 begins on 6 April, your allowance resets – once again to £20,000. Help to Buy Isa: Money can only be used to buy your first home, and savings receive a government bonus of 25%. You can save £1,200 in the first month, then £200 per month thereafter. Therefore, in the first year you will have a limit of £3,400. In the following years the limit will be £2,400. Lifetime Isa: Expressly for first-time buyers or to be used in retirement once the account holder has reached the age of 60. There’s a 25% government bonus on savings up until the account holder is 50 years old. You can pay in up to £4,000 per year. Cash Isa: A traditional savings account – money you pay in grows with the provider’s interest rate. You can pay in up to £20,000. Stocks & shares Isa: Money you deposit is invested in stocks & shares by the provider. Returns can be higher, but so is the risk that you may end up with less money than you paid in. There will also usually be fees involved for managing your investments. You can pay in up to £20,000. Innovative finance Isa: Money paid in is invested in Peer-to-Peer (P2P) lending platforms, and you receive the interest when this loan is repaid. There is also some risk involved. You can pay in up to £20,000. The Swedish group posted a 27 per cent increase in revenues to SKr4.53bn ($546m) while net profit more than tripled to SKr346m. Klarna processed about €18bn in online transactions last year, an increase of 42 per cent. As a result, 89,000 retailers globally now use Klarna products, this represents a 20% growth compared to the previous year. Available in 14 countries, retailers are increasingly adopting Klarna solutions which makes the payment processes as smooth as possible for consumers. As a result of the surge in retailer adoption, Klarna now handles 10% of all online payments in Northern Europe. Decentralized banking is a term that has been construed in the wake of the cryptocurrency boom. Cryptobanks are decentralized platforms that provide the usual services that centralized banks provide, primarily lending services and credit scoring, but essentially cuts out all of the middlemen that a centralized bank uses. The people needed in a bank to approve loans and structure financial data are replaced in a crypto banking ecosystem by smart contracts and p2p, peer-to-peer, services. What kind of technologies do crypto banks use? P2P, Blockchain, cryptocurrencies, Machine Learning, Big Data and smart contracts are used in crypto banking. All transactions are recorded on the Blockchain. Machine Learning Big Data.These technologies help to automate the lending process and cut through bureaucracy. AI can work 24/7 and match lenders with borrowers. Do crypto banks have their own native currency? Yes. Native cryptocurrencies help make the bank global. Datarius, the first social p2p crypto bank, for instance, uses their own native token DTRC for all transactions. This helps create a standard for a global payment system within the p2p lending process. Thanks to Big Data and AI, crypto banks can see beyond a borrower’s credit score to identify their level of trust. Listings can include Trust Limit, Trust Management and User Ratings which helps AI decide if the participant is justified in borrowing from a specific lender. The entrepreneur’s strategy for achieving this can be summarized in three stages. The first consisted of bypassing the banking monopoly on his platform using “cash vouchers,” a tool dating from 1937 that had long been forgotten. They allow personal loans to be made without a bank as intermediary. Secondly, by collaborating with future competitors, the public authorities and the sector’s regulators(2), the entrepreneur contributed to the development of a long-term crowdlending regulation in France. This collaboration relies on the creation of a meta-organization(3) called “Financement Participatif France” (FPF), which worked to define the status of “Intermédiaire en Financement Participatif” (IFP, equivalent to “crowdlending financing intermediary” in English), which regulates this new market. Smartag International, Inc. entered into a joint venture agreement with PT. Supratama Makmur Sejahtera (“PTSMS”), an Indonesian Fintech company to form a Joint Venture Indonesian PMA company in which Smartag will own 51% equity and PTSMS will own 49%. This follows an earlier MOU signed on October 12, 2017 between PTSMS and PT Rijan Dinamis Selaras (“RDS”) representing Pondok Pesantren Riyadhul Jannah Pacer Mojokerjo, founder of Consultative Assembly of Indonesian Boarding Schools which has a network of 28,000 boarding schools to undertake a Fintech project (the “Indonesian Project”).